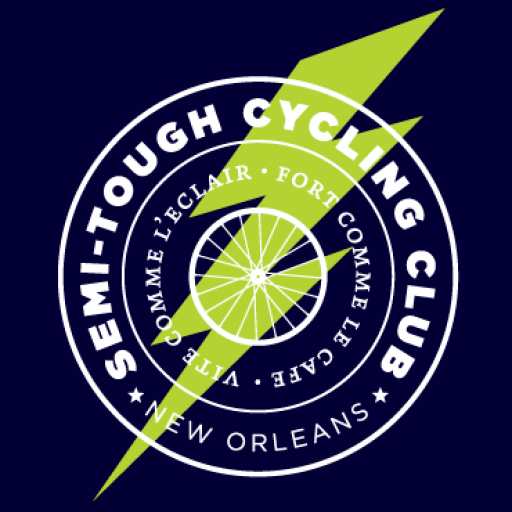 This year I was able to make my return to the local one-day crit, Harbor Master, put on by the guys over at Semi-Tough Cycling Club. 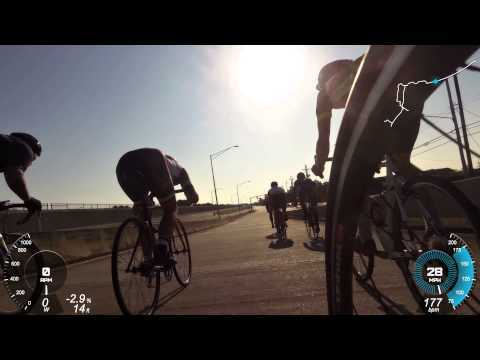 These gents really came on the scene with a bang two years ago when I went out to the inaugural Harbor Master race where I had an uncharacteristically good time at a road cycling race. So few road race events seem to have any charm, but this race featured some cool swag (See sunglasses), a beer cart, a crowd, and good announcing. It’s interesting how some seemingly small details can make such a big difference in the whole experience. I wasn’t going to miss it this year. So we lined up for the Cat 123 race, and it started hard and fast. Quick off the line, I found myself 2nd into the first turn, the holeshot, knowing I would have to cover the first move. It’s the cost of a good start sometimes. We didn’t have to wait long; 25 seconds is what it took for the first attack. It was Matt Davis of La’Sport who went first. I hopped on immediately and the field stretched, but it all came together and stayed fast the whole first lap. The next attack went and I floated to the back with legs on fire from not being really warmed up yet. My 4D teammates covered the next series of moves and worked to keep things together while I tried to catch my breath in the back, hoping my legs would show up soon. Time was passing; moves were being made, and I knew my teammates were still working hard on the front of the race. I had to get back up there before something got away. Roughly 15min in, we crossed the finish line and they were ringing the bell for the first prime lap for cash money. I wasn’t intending to go for it, but I knew the likelihood of a counter attack was high, so I had to get back up there soon. The timing seemed perfect because just then I see Matt Davis, who was close to me, start to make way to the front while the pack is gearing up for this prime. We get to the line with only a few bodies in front of us at this point, they cross for the prime laps, then Matt moves out to the right and attacks turn 2. If it weren’t for the acceleration, we would’ve taken out the first two guys entering the turn. In seconds, we are instantly way the hell up the road having taken a third rider with us, Alex Habbit of Acadiana Bicycle (who raced the Masters race earlier). I look back to see that the peloton is sitting on it, which is to say they were not chasing us. Time to go! We work hard for the next few laps to establish our move. We eventually settle in and take pulls on our sections of the course that we naturally came to an agreement on. The gap was growing as we were fed splits from Wes who was calling the race to the crowd. It’s quite a boost to morale to hear your name being said over the PA when you cross the finish line for each lap. After some time the gap got to 42 seconds at which point I could tell we were starting to slow a little. Matt decided to make a little dig which got Alex dropped from the move, and he eventually got swept back into the pack in the final lap or so. So there it was: Matt and I with less than 15min in the race to ride it out and stay away. I suspect he achieved two things attacking as he did. Firstly, now it was a 50/50 shot of winning, not 1/3. Second thing is now he had an idea how I was holding up and what kind of legs I had left. As a coach myself, I often teach my athletes about respecting their opponents and what that means. 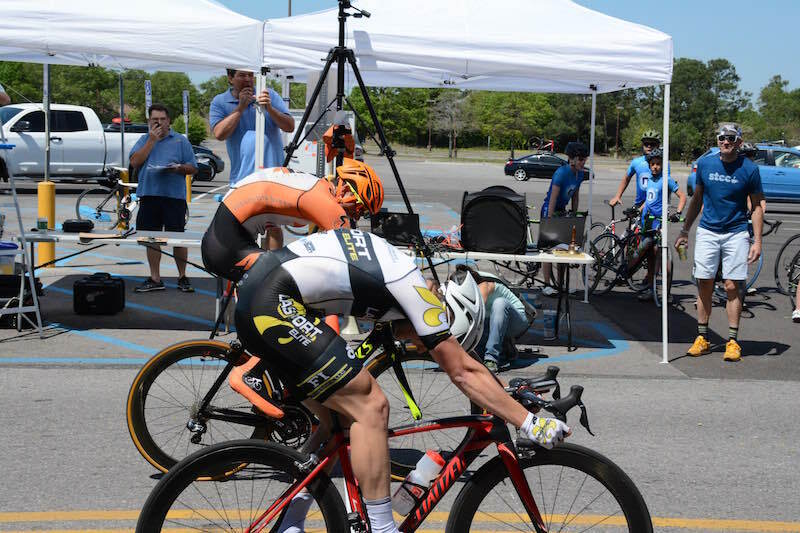 This was my first opportunity to go toe-to-toe with Matt Davis, a guy who has been winning big races since before I even started riding and has continued to do well since I’ve been racing. I continued to rotate with him having a lot of respect for the rider I had to now figure out how to beat. I knew attacking him far out was not an option since I’m a sprinter, so a sprint it had to be then. I calculated in my head my best chance was to come into the last turn fast, and explode out of it with the acceleration I know I can call upon no matter how bad I’m hurting. We still had many laps to go, but now I had a plan I was going to stick to. The crowd was getting louder with each of the final laps as they watched the peloton closing in fast on us. Bell lap. No more time. Matt took his long pull along the headwind section and I took over by diving into the last section of 3 turns. I did my best to gain a little speed coming into the last chicane and coming out the last turn there are no thoughts, just loud white noise to the finish line. I had the jump, but I timed my bike throw just a fraction of a second too late and lost it by a hair. There’s always next year! Besides the bittersweet 2nd place finish, I still had a ton of fun in the road-racing-is-full-of-pain-and-suffering kind of way, and I now have two pair of custom harbor master sunglasses, so that’s a win in my book!